A sculptor and architectural carver, he was born at Huntly, Aberdeenshire, and was the brother of the bronze founder, Charles G Shirreffs (d. 1913). He moved to Glasgow in 1870 to study sculpture at GSA under William Mossman II , and won the Queen's Prize in 1871, and a free studentship in 1872. After graduating, he opened a studio at 108 West Regent Street in 1877, moved to 261 West George Street in 1887, and established a cire-perdue foundry, the first of its kind in the West of Scotland. He employed twelve men and five boys in his workshop, and one clerk to run his office. His first important commission was for the copper repouss� panels of the Glasgow and Scottish Arms for the Council Chamber in the newly built City Chambers in George Square (1888). From the 1880s, he worked on a number of projects by J J Burnet , Glasgow's most important architect at the end of the 19th Century, and Sir George Frampton , one of the most prominent sculptors in Britain, and a leading exponent of the New Sculpture Movement. Shirreffs produced copper reliefs of Christ, St John and St Cecilia (after Donatello) for a fireplace in Burnet's Nunholme, Dowanside (1888), and the sculpture on his Glasgow Savings Bank, 177 Ingram Street (except the statue of St Mungo), which he carved from models by Frampton (1894-9). This commission also included the carved details on Burnet's remodelling of his father's earlier Glasgow Savings Bank at 96 Glassford Street (except the Royal arms). Another of his collaborations with Burnet was for four roundels on a chimneypiece at Castlecraig, Kirkurd, which feature a woman and children playing games (1905). As well as these, he carved Heraldic Escutcheons on Burnet's remodelling of the Scottish Legal Life Assurance Offices, 67 St Vincent Street (1898, dem. 1967-8), and supervised the carving of Frampton's models for the the reliefs and sculpture on the North Entrance of Kelvingrove Art Gallery and Museum (1898-1900). One of four local sculptors engaged on the carver-work at Kelvingrove, he visited Paris with Frampton and the others, James C Young , William Vickers and J M Sherriff , in 1898, to study the style and quality of the city's architectural sculpture in preperation for their own work. Outwith Glasgow, he worked on the General Accident and Assurance Company Offices, Perth, the Clark Memorial Church, Largs, and the Sugar Exchange, Greenock. He also worked on projects in Edinburgh, for which he carved the figures of Diana Vernon and Gurth The Swineherd on the Scott Monument (1882), assisted John Rhind on his statue of Sir William Chambers (1891), and assisted Pittendrigh Macgillivray on the multi-figure Gladstone Monument (1902). Among the portrait busts and public work he executed are, J L O'Toole (1895), Robert Phillips (1896), and the William Barbour Monument, Paisley (1902, erected 1903). In 1896, he collaborated with J & G Mossman on the monument to the architect Thomas Gildard in Glasgow's Necropolis (1896), for which he produced and gifted the bronze portrait relief. He exhibited at the RGIFA , 1883-1900, and RA , 1896, and showed and sold work at the International Exhibition held in Glasgow's Kelvingrove Park, in 1888. Amongst his display were sculptures of classical, ecclesiastical and mythological subjects, a mirror and an elaborate fireplace. Shirreffs died at his home at Lochwinnoch, near Paisley, on 23 June 1902, his health having begun to deteriorate when he 'fell ill before he could take up his chisel' on Kelvingrove Art Gallery a year or so before. 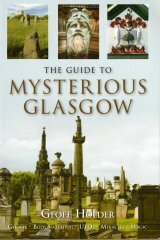 He was buried in Glasgow's Western Necropolis, where his family monument, erected in 1905, features a large, bronze Cherub head possibly of his own design. His obituary, published in the Glasgow Herald, on 26 June 1902, reveals that as a person he was '[of] kind heart, [and that] he had great sympathy with anyone in distress, [and was] unmarried'. It also gave a valuable insight into his personality as a sculptor, noting that he 'gave himself wholly to the artistic development of his work', and that 'he would give himself endless trouble to secure that the ornament he designed, however good in itself, was primarily kept in its place as a portion of the whole'. A sketch portrait of Shirreffs was published in the journal, The Bailie, on 5 February, 1896, which described him as a man [p]ossessed energy and determination of character'.